With more than 100 lakes and miles of Gulf of Mexico coast, many Texas residents love boating and water sports. Unfortunately, a fun day fishing, skiing, or enjoying the water can quickly turn to disaster. When that happens, the lawyers at The Law Offices of Frank L. Branson work to make sure the responsible individuals and boat manufacturers are held accountable. Many boating accidents are caused by careless, negligent, or inexperienced boat operators, or by defective or poorly maintained equipment. The team at The Law Offices of Frank L. Branson represents people who have suffered serious, catastrophic, or fatal injuries such as spinal cord damage, amputations, or brain, head, and neck injuries. The experienced attorneys at The Law Office of Frank L. Branson work with professional investigators, boat operation experts, and accident-reconstruction experts to determine exactly what caused the accident and who should be held liable, and we work with economists and medical professionals to properly assess the true extent of financial damages. 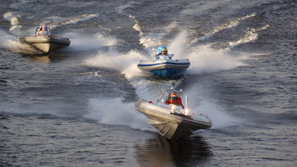 Our team has handled a wide variety of boating accidents and can certainly handle cases involving cruise ships, private boat accidents and personal watercraft and jet ski accidents.